Fulham is located in West London, situated between Putney and Chelsea. Fulham is home to two Premier League football teams, Fulham FC and (believe it or not) Chelsea FC and has a diverse range of interesting venues with private dining space for events. 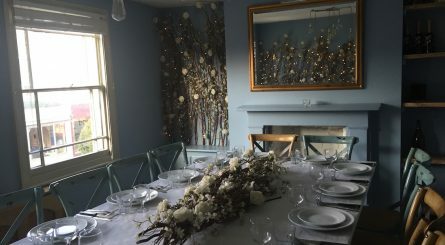 The Orchard Room at Megan’s King’s Road seats 8 – 18 guests. Restaurant exclusive hire for up to 100 seated guests also available. 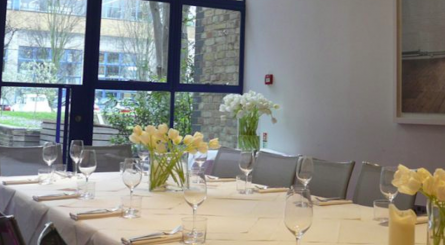 The private dining room at the legendary River Cafe in Hammersmith can accommodate between 10 – 18 seated guests. Brasserie Blanc in Fulham has two semi-private dining spaces respectively seating up to 25 & 35 seated guests. 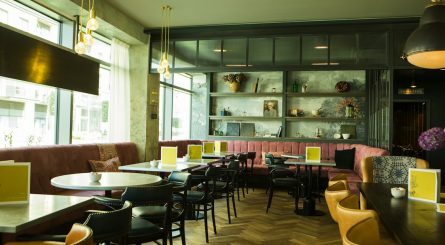 The main brasserie seats up to 50 guests. For larger events the restaurant is available for exclusive hire for up to 110 seated guests or up to 140 for standing receptions.